If you follow me on social media at all, one word you are probably sick of hearing is “advocate”. Have you ever stopped to wonder why I harp on this so much and what does it even mean anyway? We always hear about leadership in the dog world and I think sometimes it just becomes a word without meaning and application. Well, here you go…These are all qualities of a leader. Be your dog’s backer, defender, champion, upholder. Advocating for your dog will help you earn your dog’s trust, but is that all there is to it? No. It is a ripple effect. It’s a nice summer day so Molly decides to load up her dog, Fido, and head downtown to the local coffee shop. 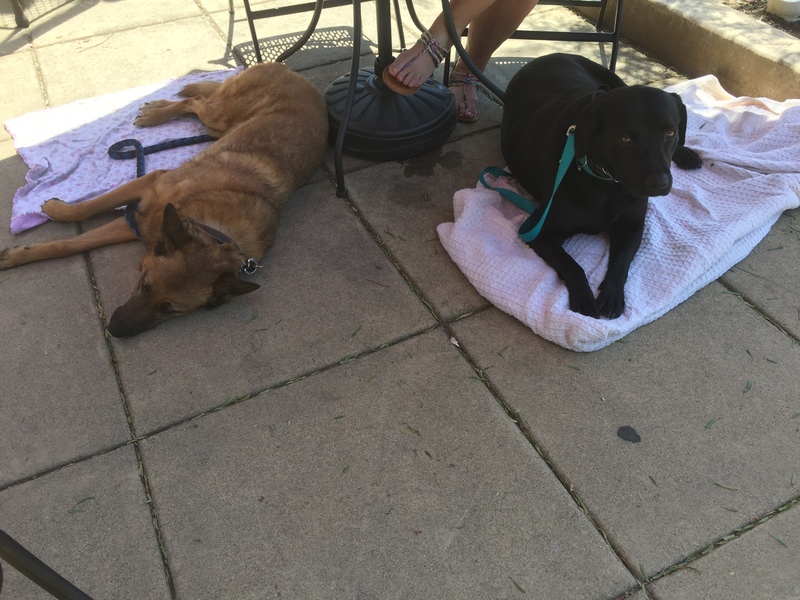 She picks her patio table and gets her very nervous dog settled. As she’s sipping her tea as stranger walks up and asks to pet her dog. Fido is visibly uncomfortable but she allows it anyway. To Molly’s surprise, Fido nips at the lady who bent over him and stuck her hand in his face. Is it Fido’s fault? Nope! Molly neglected to advocate for her nervous dog, betraying his trust and leaving him to fend for himself. He nipped because he didn’t know any other way to get his point across. See the negative ripple effect of not advocating for your dog? Just to be clear, I am not saying that every dog will bite. However, I do want to make the point that dog’s can make bad decisions or become more nervous/ fearful when they are left without a defense. There is a positive ripple effect as well. How would that interaction have gone if Molly was an advocate for Fido? If Molly’s response had been different…something like “No, thank you.” or “No, he’s in training”, there would be no lady in Fido’s bubble and he would have felt safe with Molly. There would have been nipping necessary. It’s because there is a ripple effect either way. It’s up to you whether the outcome is positive or negative. A little outing to the park for some confidence building with Willow and Bogart.